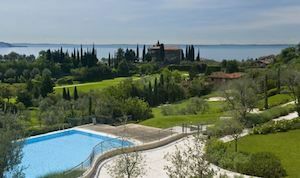 Situated close to the hills on the western side of lake Garda, Golf Bogliaco lies in a basin at an altitude of 100 metres, covered with oleander, laurel, cypresses, olive trees and other plants typical of Mediterranean vegetation. The raised position gives a splendid view over almost the full length of the lake and the mountains which surround it. 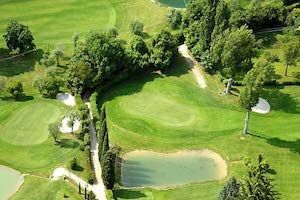 The decidedly mild climate offers the possibility of playing all year round. 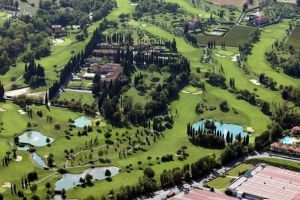 In 1912 Golf Bogliaco was created thanks to the enterprise of a hotel owner in order to satisfy the demands of increasing tourism from England and Germany, becoming the third golf course in Italy. Since then its fairways have followed the course of history: first it was patronised by sovereigns and important personages; in 1934 for reasons of state the course was transformed into a wheat field, then it was used as a runway for aeroplanes by German troops and then by the Americans, who played baseball there. 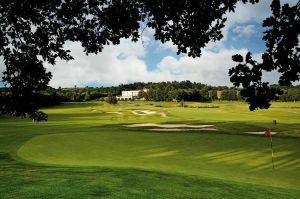 Its was once again brought into use as a golf course in 1952, the beginning of a second youth in this historic saga. Finally on june 2004 became a 18 holes course . From the first modest building in 1912, made up of two rooms alone, one for the bags and one for the bar, the Club House has been progressively extended and transformed into the comfortable and hospitable complex to be found today, perfectly integrated within the splendid surrounding countryside. 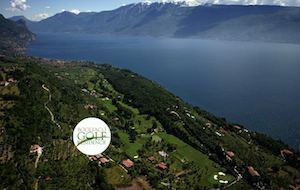 Players and visitors to Golf Boglaico are welcomed to a warm and friendly environment where everyone does his best to make visitors feel at their ease. 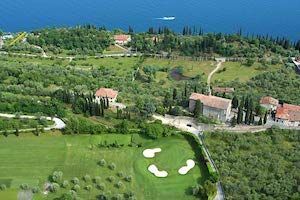 Bogliaco Golf Club is not yet in our pool of Golf Courses for orders.